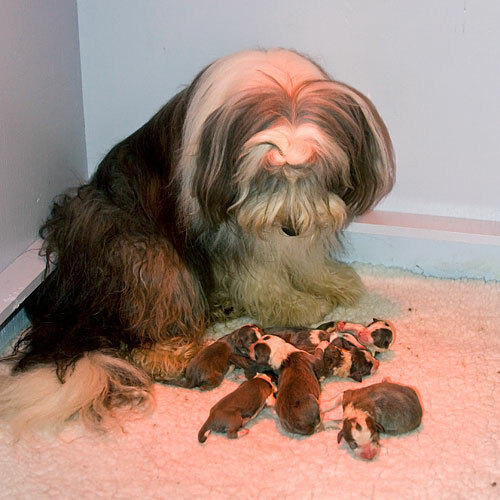 On October 29, 2010 our much anticipated litter was born -7 puppies (5 male, 2 female.) All are blue. Mom is Frankie, Ch.Madigan's Butterfly Style AGN AGXJ AADC SGDC, and dad is Fuzzy, Britannia Beam Me Up Spotty, a handsome young son of Spot, Ch.Britannia Ticket To Ride. This is a first litter for both parents. Sadly one of the girls died at just 2 days, but the remaining 6 pups are doing very well. To view the pedigree of the litter, visit the 2010 Litter Pedigree page. For many pictures of the pups as they grow up from week to week, visit the 2010 litter gallery at my pbase site.